ShelvesMaker:Create WP with Shelves From Any Images. 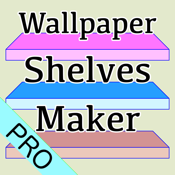 By using this app, Anyone makes it easy to create original shelf wallpaper. (compatible with iOS8). Following the very popular app("WallPaper! 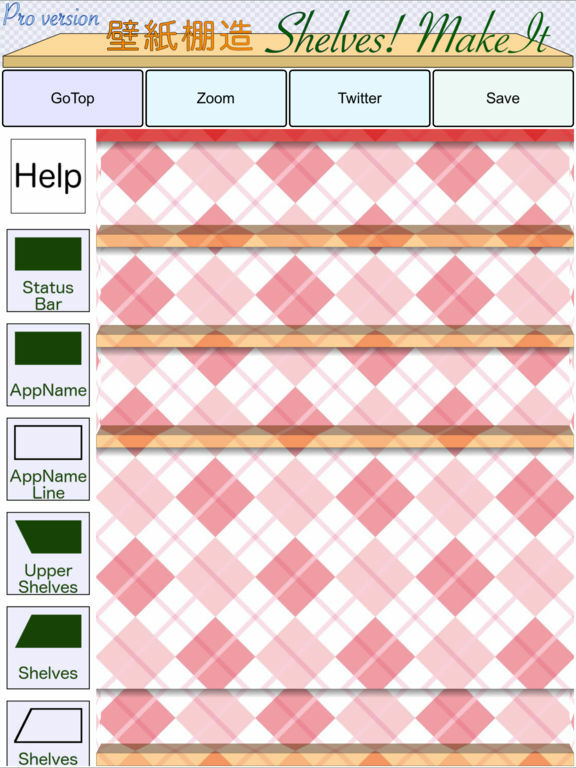 Make It") in japan, release a 2nd series of the wallpaper maker app! (1) Make Shelves From Pattern Image. 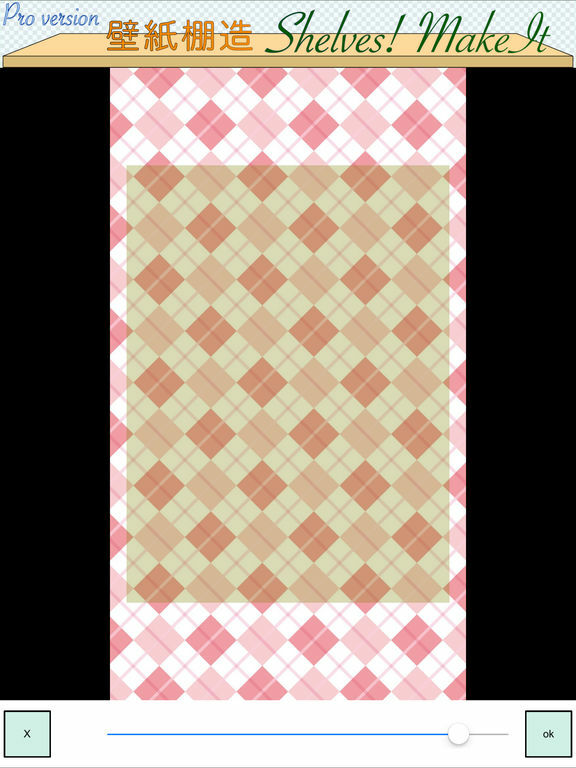 You can make a shelf wallpaper by loading the designed pattern image. In this operation, please use what the image is placed heart (star ,circle ,and so on) continuously or In random order. When you will use the image that is not pattern, Shrunken picture in the vertical direction will be completed unfortunately. (2) Make Shelves From Photo. You can make a shelf wallpaper by loading the ordinary photo. There are also other app("CreateUrWallpaper") to create wallpaper. 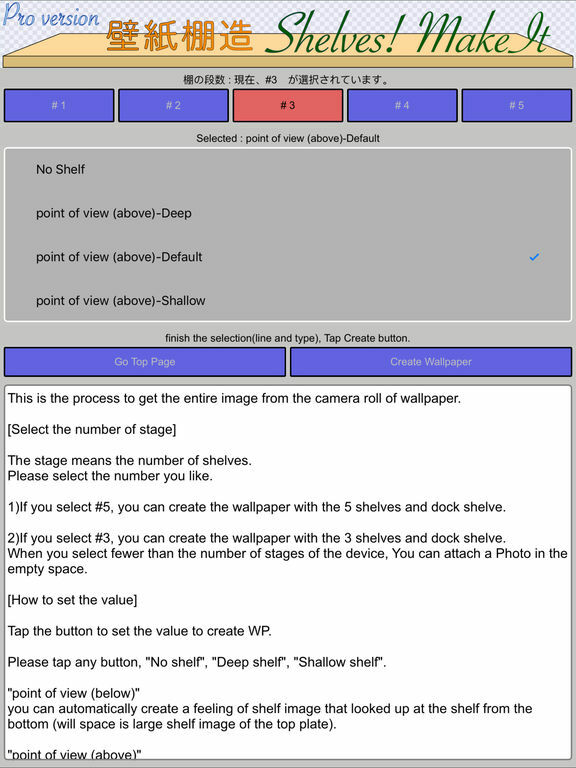 By using "ShelvesMaker" and "CreateUrWallpaper", you can make the very cool and creative wallpaper. The logo mark "made with ShelvesMaker" is automatically stuck on the wallpaper you made. Ad is displayed at the top of the app. In this Lite version, it is possible to use the all functions as like a product version. But it may become to be unable to use some functions by the future version by no notice.